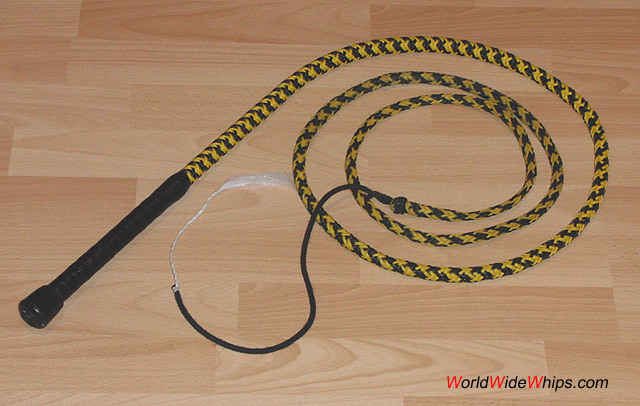 This synthecical bullwhip has been made of a tapered Polyamide braid. The simple, sturdy construction is weather proof and dirt resistant. This whip is intended as a working whip, not for targeting.